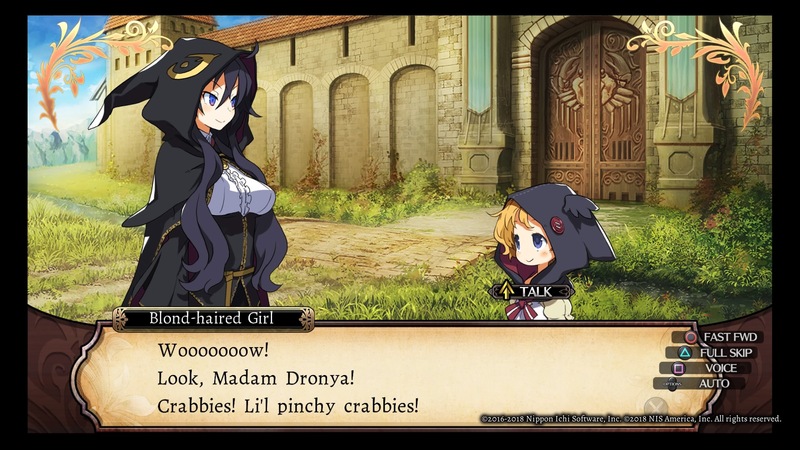 NIS America has released some new details and screenshots for its upcoming release of Labyrinth of Refrain: Coven of Dusk in North America and Europe. 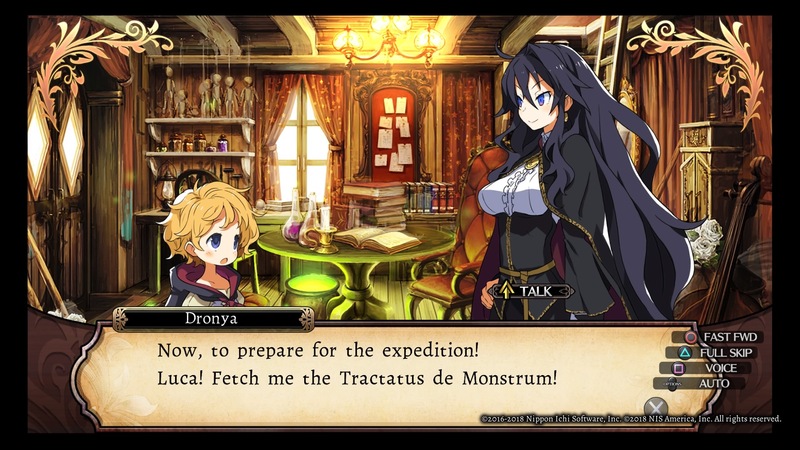 The update focuses on the game’s three main characters: Dronya, Luca, and Tractatus de Monstrum. 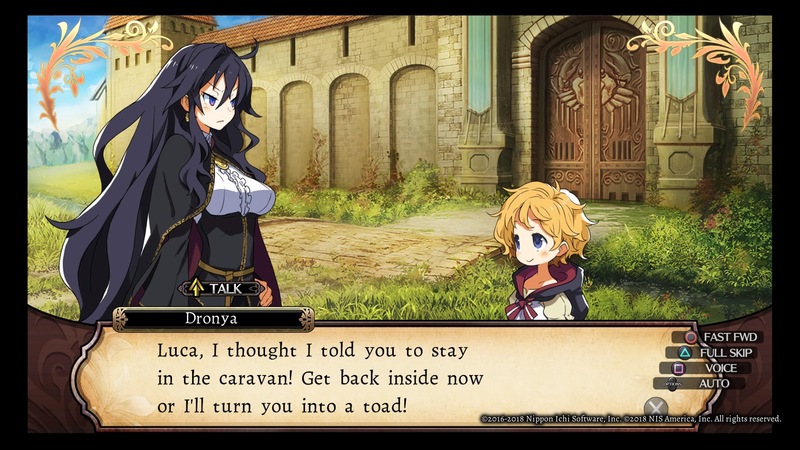 Dronya, the Dusk Witch, is is the royal court witch of the Haltz Kingdom, given her nickname because of her blue-and-red eyes. She ventures to the village of Refrain in order to explore the labyrinth that lies beneath it, but her reasons for doing so are unclear. She is joined by her young apprentice Luca. 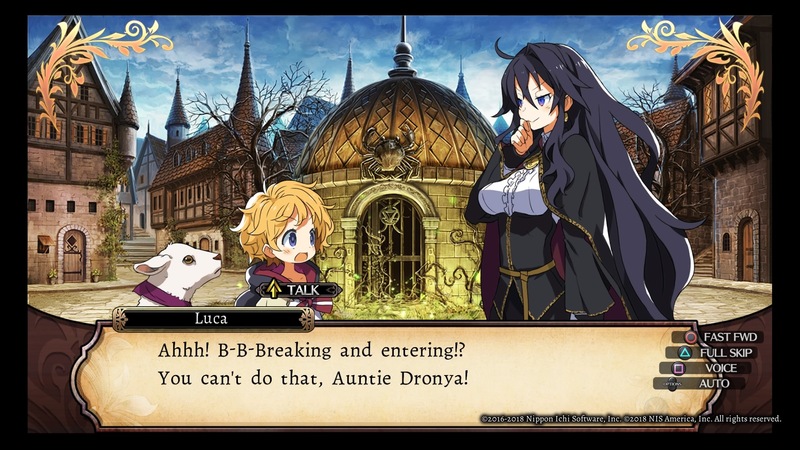 Although excitable, Luca is adept at various household tasks and is the one who crafts the puppets that Dronya sends to do the actual investigations of the labyrinth. Finally, Tractatus de Monstrum is a legendary book that contains the player’s soul. Supposedly created by the only one who has found the labyrinth’s secrets and survived, Tractatus is tasked with leading the aforementioned puppets in their explorations. 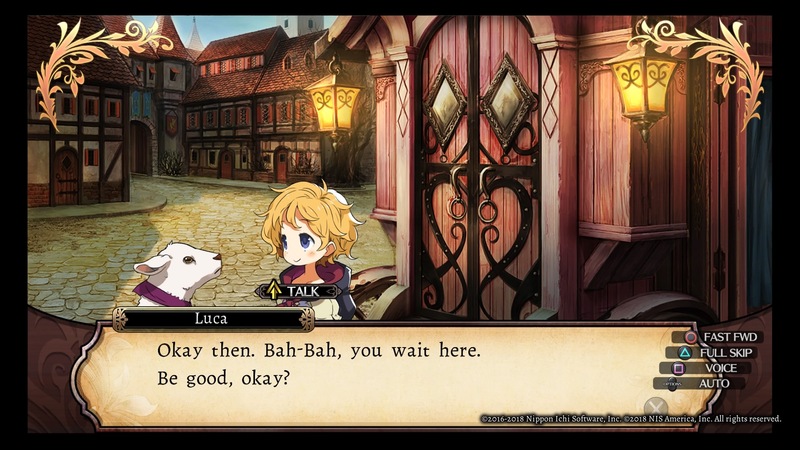 Labyrinth of Refrain was originally released for PlayStation Vita in Japan in 2016 before being ported to PlayStation 4 in 2017. The game is set to be released for PlayStation 4, Nintendo Switch, and PC in North America and Europe sometime in the fall of 2018. 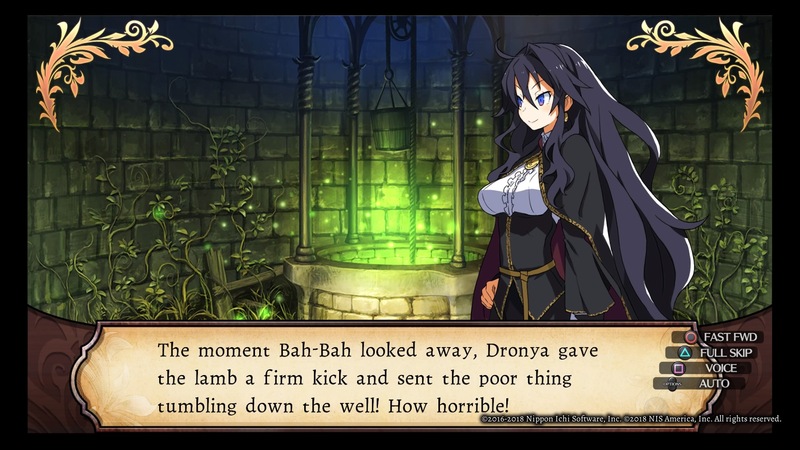 Kicking your apprentice's pet lamb into a deep well does not for a likable protagonist make. Uh, so, is it a dungeon crawler by tiles or full movement? 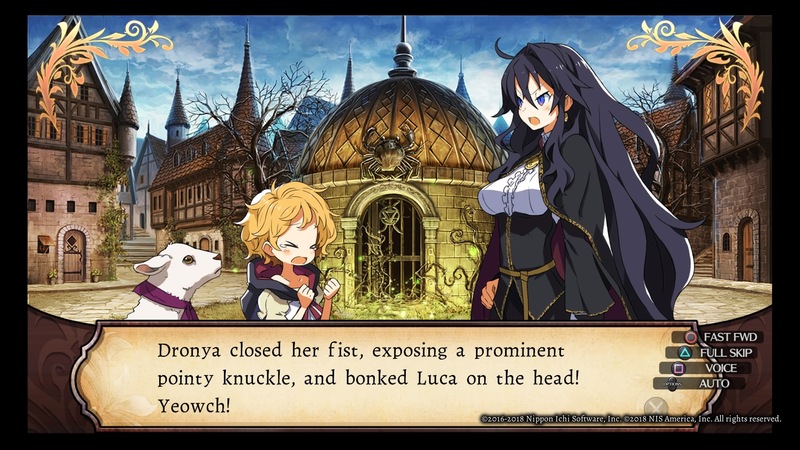 One stupid screenshot of the game. Ugh. Looks like something I’ll be getting. 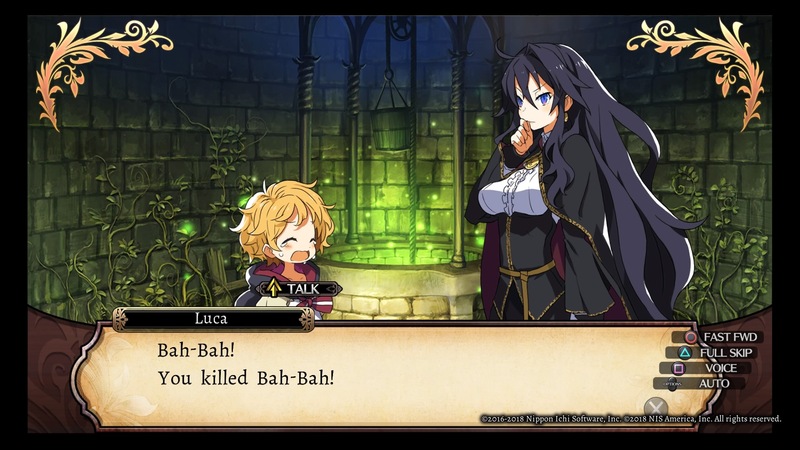 Weird and sometimes funny voice acting (that’s not necessary, as far as I’m concerned. Why do all these game makers think we have to have voice acting?) and it plays like an Etrian Odyssey or Demon’s Gaze or a Wizardry. Good stuff. I can really truly never get enough of games like this.